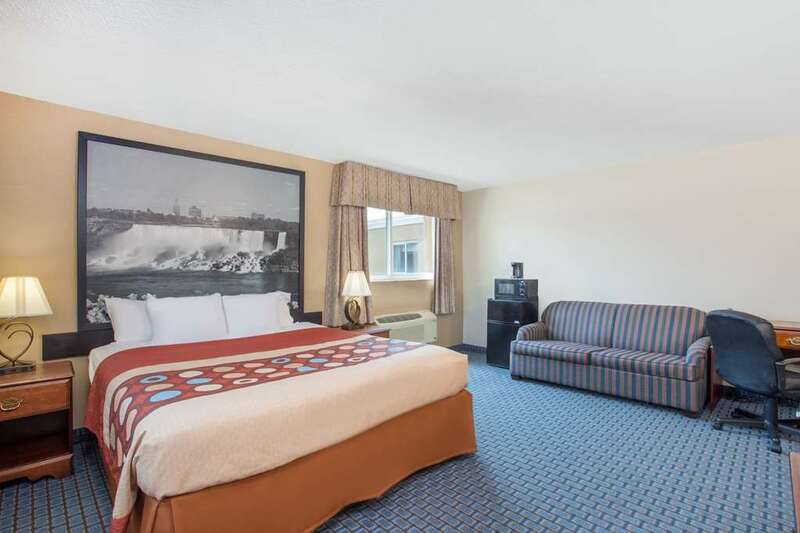 * The Super 8 is located 3 1/2 miles from Buffalo/Niagara International Airport. * We are ideally located close to I-90 Expressway at Exit 49. * Commercial Area W/Eastern Hills Mall just 1 mile from the Hotel. * Park Before You Fly Packages available. * Free Parking is available only during guests stay. * Long Term Parking is available only with Park & Fly Packages.